Pumpkin Glow's Journal of Teleport Accidents aka "Adventures"
► Pumpkin Glow's Journal of Teleport Accidents aka "Adventures"
I have seen others posting threads like this and I think it might be a fun way for me to share my getting lost and running around in a confused manner before teleporting into the void by accident own adventures. It might also motivate me to take more screenshots of... stuff! So yesterday night I stumbled into the beginning of Smoliday's birthday party (after realizing I had to change instances, after dancing alone for 5 minutes) and had a lot of fun just hanging out for a bit. Being in Germany it was already like 2am, which is almost my bedtime. And today, while getting lost in the Heartlands, doing quests, I stumbled upon the young pony Ace, who couldn't wait to grow up. Ended up in a party with them and some other nice pones... Even Tide, Chaos Control, Heart ... uh and somepony else? I am really bad with names and commonly confused in social situations that have more than like two participants, sorry if I forgot someone. We went on a spontaneous mini expedition into Everfree Forest so Ace could earn some bits and then made our way through Canterlot and into Cloudsdale. Where I might or might not have been blown of the bridge (though I already knew about the bridge wind, having quested there before ) and then clumsily teleported my way back up the mountain, i.o. to catch up with everyone. We then sat around and talked for a while, which was nice. - Being in a party and getting confused with the four different chat windows a lot for some reason. Especially while also trying to go places at the same time. Re: Pumpkin Glow's Journal of Teleport Accidents aka "Adventures"
Tonight, after being driven nuts by the Mindless Violins quest and hanging out at SCC for a while, I actually made it to the RP meet and greet and got to go on a bit of an Everfree Forest filly rescue expedition. I sadly had to leave at midnight my time, cause late and things to do before bed. So Pumpkin Glow did what she does best, psyching herself up with spooky tales she has read about the forest in the Canterlot library, then getting scared by one (1) squirrel and "excusing herself" cause she might have left her cooking fire on. Aka taking off at top unicorn speed. And heading into the spooky, dark Everfree Fooorest. Yesterday I attended Even Tide's Winter Wrap Up Photo event, which was a lot of fun. And also a good opportunity to play around with my outfit and temporarily bringing it close to the team critter theme. The group photo shoots went way more orderly, than I expected. Apart from that I generally tried to track down and complete the quests I am still missing, but as always got distracted and mostly ended up hanging out with ponies instead. Even Tide showed me the secreeet cave in Canterlot and I even found my way back to it on my own later. And of cause met a lot of super nice and amazing ponies there. I got to bed pretty late that night, but it was worth it! Woah! Looks like the secret cave isn't secret anymore! It's still a very good secret cave tbh. I would never ever have found it on my own. Even though I have actually fallen off that side of Canterlot, when I first played around with teleporting. Sooo... yesterday was also kinda eventful! So I looked into the Heartlands and found the pumpkin patch. There are still a lot of places there I haven't seen, even though I have gotten horrendously lost there quite a few times now. And honestly, I stopped looking for more camp sites after running around the pumpkin patch for a while... for, I think, obvious reasons. After that I went into the Everfree Forest to level for a little bit and ended up in a crazy mass stone golem rofl stomp with a few very nice and helpful ponies! So I am lvl 30 now and can move around the world at least a little bit saver. Sadly I forgot to take a screenshot there, cause I was sooo busy clicking and looting and dealing with the sensory overload (next time though!). I have a bit of a problem with intense sensory input (like a lot going on on a screen and having to actively react), that's why I can't play super frantic games, or do crazy power leveling like that too too often. Now and then is ok though, it just means strong brain exhaustion. So I can't do anything too brainy afterwards for awhile. But then a disconnect happened anyway and when I came back everyone seemed to have scrambled, which was ok though. It was a good point for me to go and relax somewhere anyway. Sadly my friendlist had been bugged all day and showed everypony as offline at all times, which was kind of a bummer. Buuut luckily popping into SCC is normally enough to find everypony. So I spent the rest of my evening dancing and hanging out with some grade A, adorable ponies. I only found it because of Blue Cloud and his marefriend (her name escapes me right now, sadly ) myself. But a lot more ponies are going to know it, now that you made it public. Knowing about the cave and actually finding it without help are still two very different pairs of horse shoes. Also it's location and how to get there is described on the actual wiki and there are youtube videos of how to find it as well. I hardly "made it public", cause it already is. Sooo, today I went and checked out the Heartlands campsite, Cogsworth told me about. It's a very good campsite, but sadly a bit too far out in the wilderness to be useful for what I want to do, which requires ponies to be savely and easily able to find the place. But interesting... I really want to use it at some point. Maybe for a smaller camping trip some time... hmm. Especially as the place itself is super cozy and nice. Even though I wasn't allowed to teleport onto the island and had to swim. Afterwards I hung around the Heartlands graveyard for a while, contemplating mortality and writing a tragic poem about the inert darkness of my very existence and thinking about what pizza I want for dinner. Later I finally got up the courage to go and face the pega golems by myself, which worked surprisingly well. Had two different ponies stop by and help me a bit, which was nice and am up to level 43 now. And my LoE day ended at SCC, hanging out and talking to all the very good and nice ponies until I get too tired, as per usual now. Taking a break in the Heartlands and enjoying the beautiful night sky. Yesterday was a very eventful day (literally). Me dancing on top of a Pumpkin Farm chimney, i.o. to release some of my nervous pre-event energy. Then Even showing me how to actually get to the castle of the two sisters. And this weird place... in the outer plane of Everfree nothingness. Aaand apparently I actually took a screenshot of the Pumpkin Patch Camp Out at some point, even though I have no recollection of doing so. But my tired brain was pretty much on autopilot. 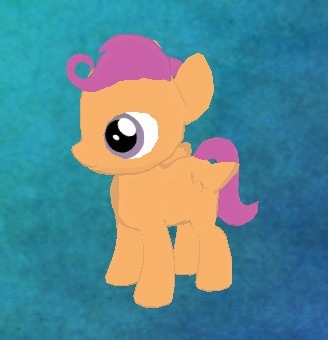 loool, Scoots is completely hidden by Blue Cloud's massive body. This weekend was pretty laid back for the most part. Friday evening I hung out at Toot Sweet's rp event for a bit. Saturday I had a relaxing soak with good company at the spa. And today I braved the Bramble Woods... for a while at least. Still have to explore the whole thing at some point. Oooooh, the Bramble Woods is the one place I haven't gone yet in Equestria. I keep meaning to and forgetting. That might make a fun adventure sometime. We have to check how it runs for you. It was actually pretty framey for me (though the rest of LoE runs super smooth), which led to me cutting my exploration short. Yesterday I returned to the Castle of the Two Sisters together with Spectral and finally managed to get under the floor again. I look absolutely, illegally tiny in this picture. And at Healing Lavender's Birthday yesterday night. Which was a lot of fun. Also got to catch my pkmn go field research legendary in SCC, as midnight passed. Went to hang out at Even's photo shoot today and apparently was the only pony who could see the HUEG BUNNY RABBIT. Photo shoot aftermath on the airship. Everypony just letting out all that penned up energy after having to actually stand still for a while. Had some fun adventures the last two evenings. Even showed Spectral and me how to get out of bounds in Ponyville and we had a spontaneous unicorn hang out on the windmill and then just hung out and talked. The next day I found the magical flying apple tree. Then we sneaked out of bounds in the CK and visited the seeecreeet cave. I sadly never got a picture with all of the adventure ponies on it, due to the nature of the outer bounds making ponies mostly invisible. But Spectral was also there... in SPIRIT! Maybe their hot chocolate was a little too good! We had the 2nd camp out on Saturday, which was a lot of fun. 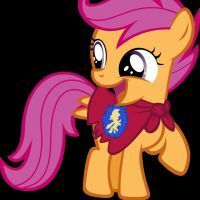 The next days I explored the outer areas of Ponyville some more and found that unicorn magic is strongest at the edge of the world! More flying practice, this time in the Everfree part of the outer Ponyville area. And yesterday I followed Holly around on some Grand Galloping Gala planing. Being mostly too tired to actually move, so I just teleported around (with only minor accidents). Already knowing I wouldn't be able to make it to the Gala itself, I made sure I at least watched all the Wonderbolts Airshow practices. Found a very scenic viewing spot for the first one. At the second one with Scoots and her refreshing, youthful excitement. A relaxing evening in the cottage my special somepony and other quality company. The other day I visited the mysterious floating trees at SAA. Then enjoyed some quality time. And tonight I (and later we) watched the first Hoofhunt, hosted by Even. Distant whispers from a graveyard bound to the material world.